It seems that Sen. Lindsey Graham, R-S.C., has gotten a backbone — and a set of brass cojonesto match. 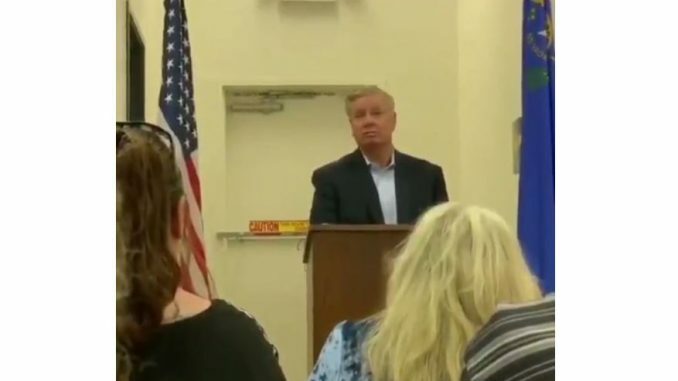 While stumping for Las Vegas, Nevada Senator Dean Heller in Nevada, Graham shredded radical leftists trying to destroy America. Graham received thunderous applause for his statement. “Speaking of President Trump — we have one thing in common, more than one — but one big thing. I like him and he likes him,” he said. Lindsey Graham — who ran against President Trump in the 2016 GOP primaries — has recently become a staunch supporter of his former rival. Graham recently said he will take a DNA test because he’s certain he can beat Democrat Senator Elizabeth Warren, whose own DNA test showed that she “might be” 1/1024 Native American. Last month, Graham won widespread GOP praise for valiantly defending Supreme Court Justice Brett Kavanaugh, who was viciously attacked in a sleazy, last-minute smear campaign. We’re not sure what they’re putting in his water back in South Carolina, but whatever it is, we like it. 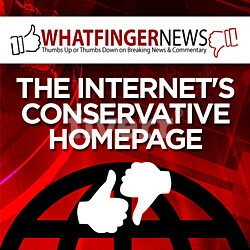 Courtesy of Conservative Firing Line. Reprinted with Permission.